How do I know if I have been offered a fair settlement? In Ohio, the workers’ compensation system provides medical care and wage replacement benefits for employees who suffer job-related illnesses and injuries. Typically, these benefits are distributed in payments every other week. For some injured workers and their families, however, compensation every two weeks is not the most beneficial arrangement. In certain situations, it can be more advantageous to agree to a lump sum settlement. 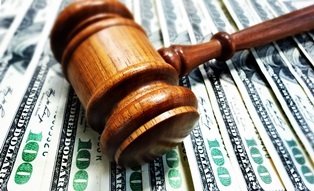 In a settlement, the injured worker, the Ohio Bureau of Workers' Compensation (BWC), and the employer reach an agreement that provides one large sum of money to the worker, rather than the disbursements every other week. (The BWC is not involved in settlements where the employer is self-insured.) How much a claim is worth, however, is often hotly debated among parties, and it can be difficult for the injured worker to know if she is getting a fair deal. Full settlement – In a full settlement, the injured worker agrees to give up all rights to future workers’ compensation benefits relating to a specific injury in exchange for a specified sum. Depending on the settlement, the injured worker may have to establish and administer a Medicare Set-Aside account pertaining to future medical expenses. Indemnity-only settlement – This form of partial settlement is much rarer in Ohio, but it allows an injured worker to settle part of the benefits, while leaving another part open. Typically, a worker will settle the wage replacement compensation but maintain the ability to obtain further medical care. Most Ohio settlements are paid out in a one-time lump sum, though there are situations where a structured settlement will pay the compensation in installments over a specified time period. Is a Workers’ Compensation Benefits Settlement Right for You? What type of benefits are you receiving? Different benefits carry different implications in a settlement. Permanent disability benefits are more complicated, as they are likely to continue and affect an injured worker and his family well into the future. Is it likely that your benefits will continue? Sometimes, it may become apparent that the benefits are likely to be discontinued. A settlement might be most beneficial for the worker to obtain the maximum compensation. Do you have specific needs right now? Is there a compelling reason to want or need a settlement? For many people, weekly benefits serve their purpose, but sometimes a settlement can help address immediate, necessary issues. Are you good at managing money? Receiving a large lump sum requires a certain amount of self-control and successful money management. To ensure your future stability, it is necessary to use the lump sum responsibly. For some, a weekly paycheck is a much easier way to do this. Future medical needs – Your needs may change as your condition develops, either for the better or worse. Will you be taken care of if you require continued or more invasive care? Earning potential going forward – The type and severity of the injury can affect a worker’s ability to work and earn income. What will your earning potential be? The answers to these questions can be difficult to determine, as they involve long-term calculations, medical opinions, and the uncertainty of the future. An experienced workers’ compensation attorney can help injured workers understand how these factors influence a settlement and decide what constitutes a fair offer. While the BWC does not require injured workers to retain an attorney, settlement agreements are binding. It is impossible to revisit the terms of the settlement once it has been finalized, and the guidance of a lawyer can ensure that your rights are protected fully right from the start. If you have suffered a work injury in Ohio, you may be eligible for compensation. At Monast Law Office, our experienced legal team can help you examine your options and find the best way forward. Take a moment to fill out the contact form on this page, and you will hear from a member of our team promptly.